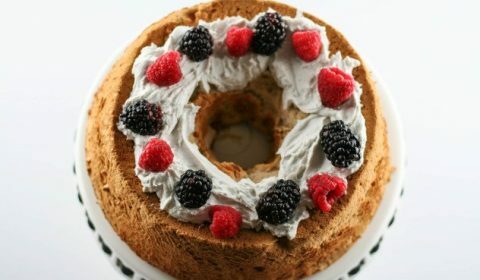 I recently posted about using fresh, homemade coconut whipped cream on top of this nut-free, grain-free angel food cake. I could have literally ate the entire bowl of this cream (okay, so maybe I licked the mixing beaters at the end…shhh). Don’t be fooled by the use of canned, full-fat coconut milk. It does not have a strong coconut flavor. To me, canned coconut milk has a nutty flavor, but don’t take my word for it…TRY IT! You can actually buy coconut cream in the can but for this I recommend using canned coconut milk. If you’ve ever used canned coconut milk before you’ll know that the cream separates from the liquid inside the can. 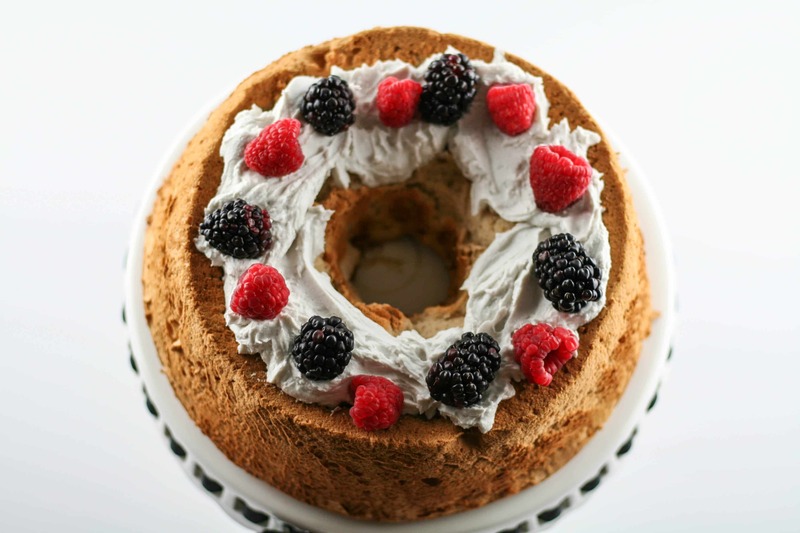 For this recipe you’ll want to just use the cream. One trick I learned for this is to open the can at the bottom (because the cream rises to the top then hardens). If you open the can from the bottom you can easily pour out the liquid and just have the cream left. Add in a few teaspoons of sugar and vanilla and you’ll have yourself a delicious, thick homemade cream to use on any dessert you’d like! I chose to use organic cane sugar so it didn’t darken the cream. You could use coconut sugar, organic maple syrup or even raw honey. Open the can of coconut milk from the bottom, pouring out all liquid from the can. Spoon out the leftover cream into a medium sized bowl. Add in sugar and vanilla and mix on medium speed until smooth and creamy.